Intervencion en la Iglesia (2012). Video. Born in 1962 in Rosario (AR). Lives and works in Trieste (IT). Guillermo GIampietro, musician, performance and video artist always attentive to the relationship between word, image and sound, with a practice ranging from poetry and painting to video and from installations to performances, in a continuous search of new modes of expression. 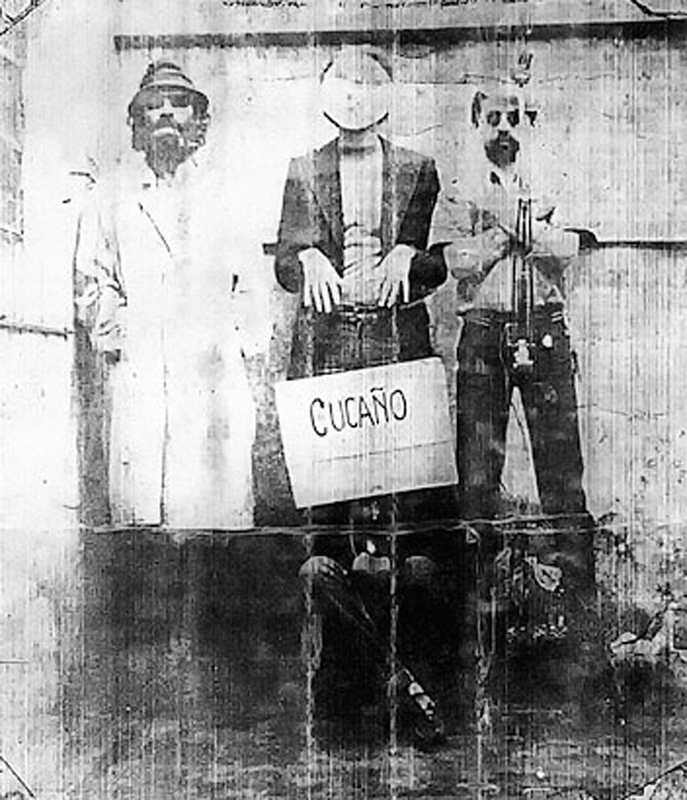 Guillermo Giampietro had been active in cultural resistance against the military dictatorship in Argentina as a founding member of Argentina’s experimental art group Cucaño (Rosario, 1979-1984). The group carried out several subversive, theatrical, provocative and counter-mass interventions. The VENICE INTERNATIONAL PERFORMANCE ART WEEK 2014 shows the video Intervención en la Iglesia (2012), reconstructing the intervention of the group Grupo Cucaño at a Sunday mess at a church in Rosario in 1982. The group saw this intervention not just a mere protest, but addressed it to be breaking with representation, to mutiny reality and to make a step towards the impossible. The video by Guillermo Giampietro has been co-produced by the Museo Reina Sofia, Madrid, for the 2012 itinerary exhibition Losing the Human Form: A seismic image of the 1980s in Latin America. Courtesy of the Artist, Museo Reina Sofia and Conceptualismos del Sur.